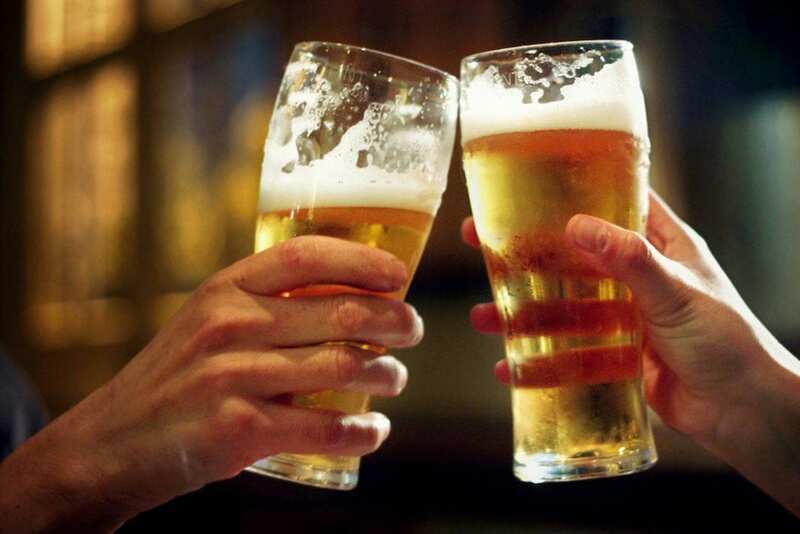 Did you know that four out of ten Americans who drink prefer beer as their alcoholic drink of choice? Yes, beer, that glorious king of beverages is clearly well-loved, and if you’re a beer lover yourself, you’ll certainly enjoy this chart of every brewery currently in the United States! 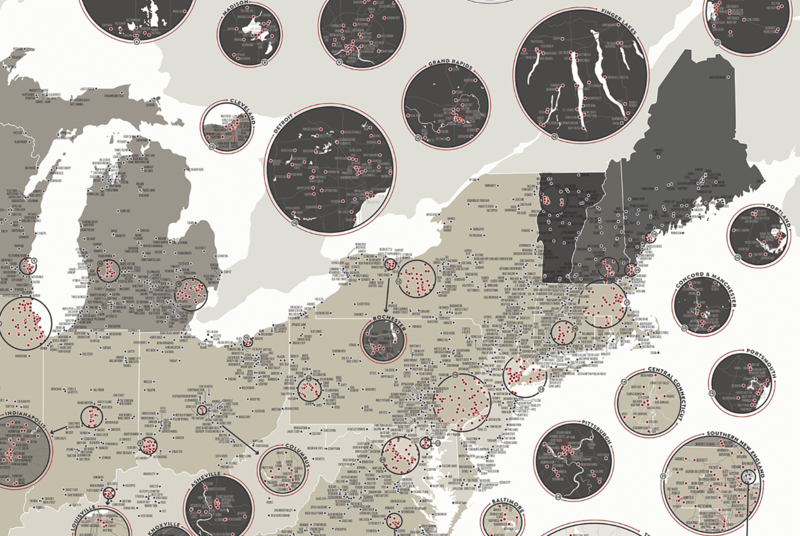 Over 5,000 breweries are marked—virtually every beer producer in the country. 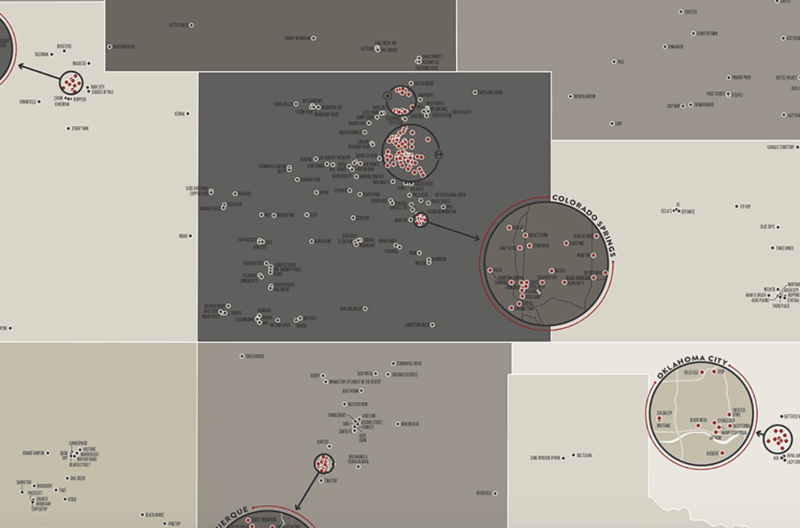 Pop Chart Lab used data from the Brewers Association, as well as extensive online research to create this unique graphic for beer lovers. The map can be further enlarged on the Pop Chart Lab website. At a glance, you are able to tell the number of breweries per 100,000 people. 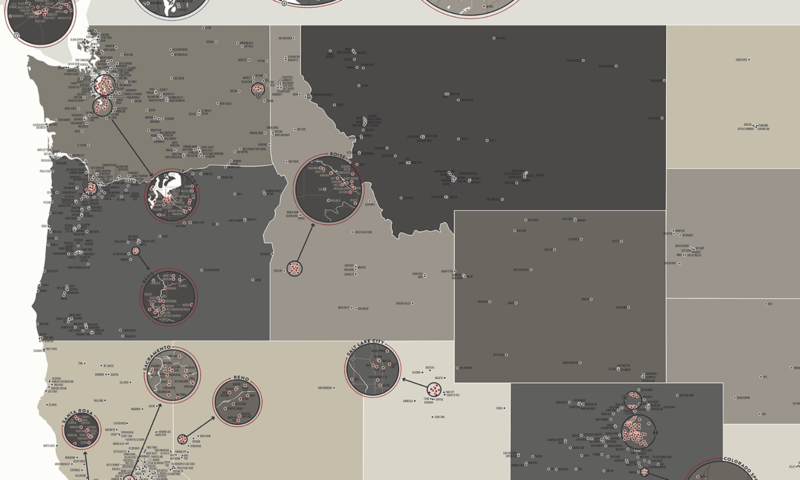 The darkest sections show the locations where more than 6 breweries per 100,000 people exist. The lightest sections indicate less than 0.5 breweries per 100,000 people. But Colorado is no slouch at hoisting a few either. 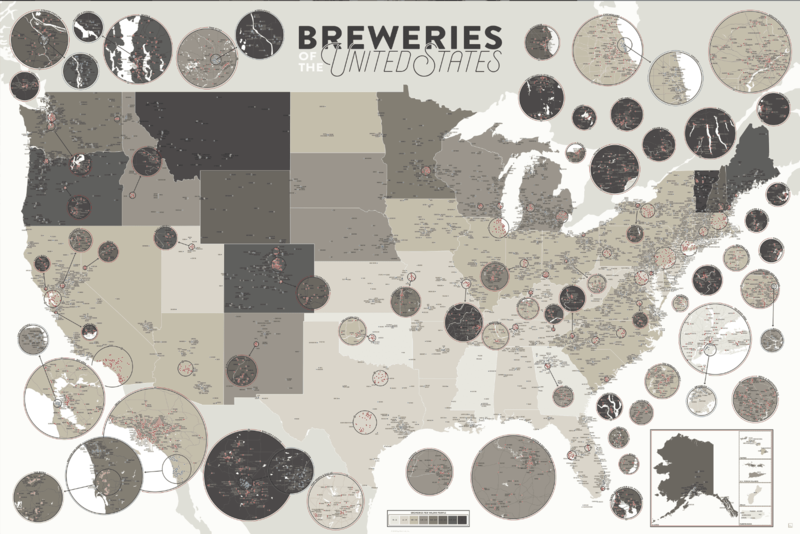 This attractive “Breweries of the United States” print is 48″ x 32″ and is available for sale to enhance the decor of any home-based watering hole.